US peace activists joined politicians, lawyers and the world’s press on Sunday as they attempted to march into Pakistan’s tribal region in protest at the CIA’s drone campaign. 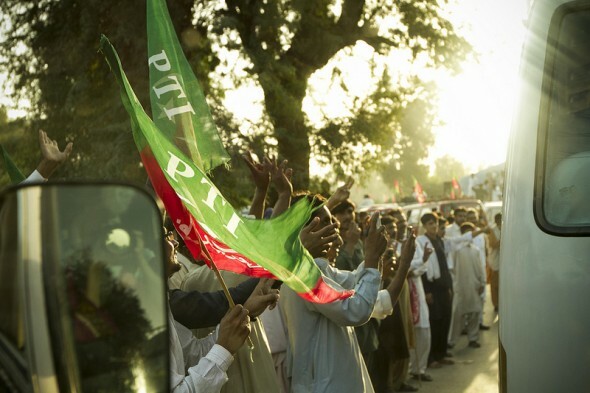 The two-day march, organised by Imran Khan, the cricketer-turned-presidential hopeful who leads the Pakistan Tehreek-e-Insaf party, set out from Islamabad on Saturday aiming to hold a rally in Kotkai, a town in the Waziristan border region that has seen most drone strikes. Access to Waziristan is tightly controlled and usually impossible for foreigners. Tens of thousands of locals defied threats from the Taliban to join a convoy of vehicles that stretched 15km, according to Clive Stafford Smith, director of legal charity Reprieve. The convoy, accompanied by journalists from around the world, paused overnight in Dera Ismail Khan – where locals welcomed visitors with barbecues, according to attendees. The convoy left for Waziristan on Sunday morning despite warnings that the authorities would prevent it from entering the region. ‘We had been told we were going to be stopped by the authorities – but we were such a massive group that there was no way they could stop us: we went through a series of roadblocks,’ Stafford Smith told the Bureau. He described how the authorities blocked off roads using shipping containers – only for marchers to heave them out of the way. But the obstacles slowed the convoy and, having fallen behind schedule, it turned back before reaching Waziristan, and Khan held the rally outside the town of Tank attended by tens of thousands – Stafford Smith explains the rally was initially to be held in a stadium, but had to move outside to fit everyone in. To many, it was no great surprise that the convoy did not make it to Waziristan. ‘We didn’t think we would get all the way to Kotkai – we were delighted to get as far as we did,’ said Medea Benjamin, of US peace activist group Code Pink. She added that members of her group were startled even to be granted visas for Pakistan. Despite not reaching Waziristan, Imran Khan and the attendees the Bureau spoke to insisted the march had been a success. ‘The real goal was to provoke discussion of the drone issue, and that goal was reached on Saturday, long before we got to Dera Ismail Khan: there was a great deal of international and Pakistani coverage that was by far the most important goal,’ said Stafford Smith. During the trip to Pakistan, peace activists also met with the acting US ambassador Richard Hoagland at the embassy in Islamabad to present a protest letter signed by 3,000 people – including author Alice Walker and film directors Oliver Stone and Danny Glover. Citing data by the Bureau indicating that at least 474 civilians have died in CIA drone strikes, the letter called for ‘an immediate moratorium’ on the attacks. In May, Brennan made a speech insisting drone strikes were legal, ethical and necessary, adding the US puts a ‘premium’ on protecting ‘innocent civilians’. Medea Benjamin said many issues reported by the Bureau – including strikes targeting rescuers and significant civilian casualties – were echoed in what locals told her. ‘There’s a direct relationship between what we heard on the ground and what’s reported by the Bureau of Investigative Journalism and Stanford University’s study – whether it’s talking about the high number of civilians killed, the targeting of rescuers or the terrorising of the local population,’ she said. 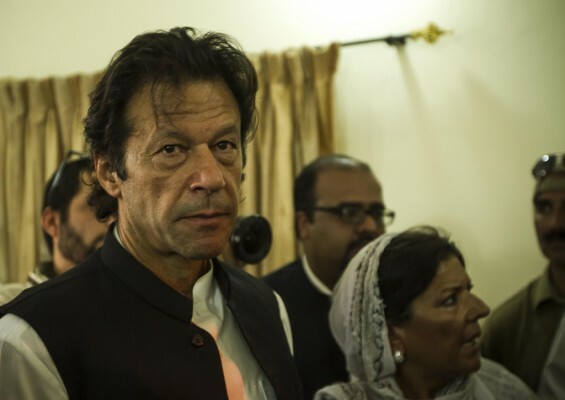 Yesterday, Imran Khan announced plans to hold another anti-drone demonstration at the United Nations building in New York – hours after drones fired four missiles into a house near Mir Ali in North Waziristan, reportedly killing up to six alleged militants.